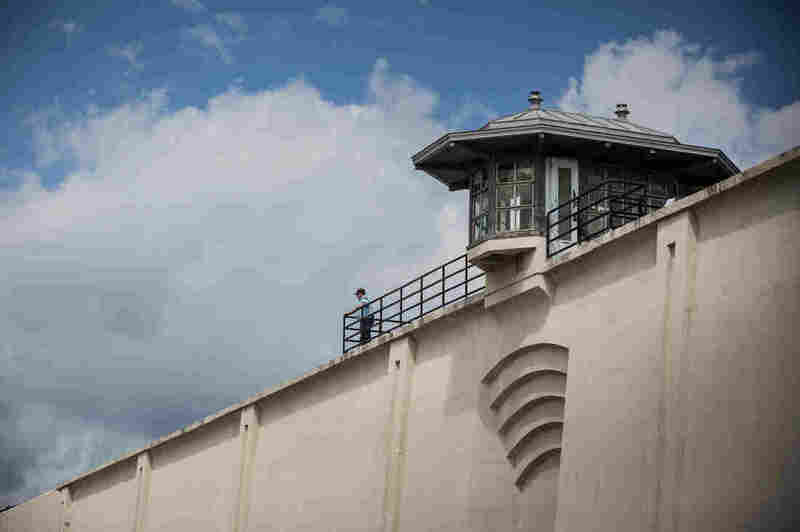 Reports Of Prison Guard Brutality In New York Draw A Harsh Spotlight A rash of incidents involving guards' use of violence against prisoners, sometimes caught on video, is fueling calls for accountability. Others say the focus should be on increasingly violent inmates. Clinton Correctional Facility in Dannemora, N.Y., is one of several New York state prisons under scrutiny for incidents involving officers' excessive use of force. The scene: A half-dozen white corrections officers at Clinton Correctional Facility in Dannemora, N.Y., are confronting an African-American inmate named Leonard Strickland. It's video of a closed world, invisible to most of us. "Stay on the wall, do you understand me?" officers shout. "Don't move." "I need the emergency bag up here now!" one responder calls out. During the past couple of years, Americans have grown used to seeing video of deadly confrontations between black men and police, and a national conversation has begun over how and when police use deadly force. 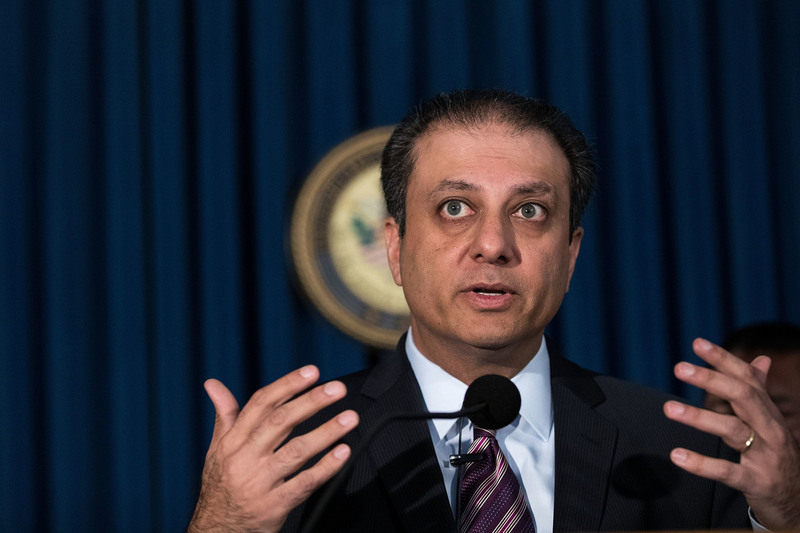 "Excessive use of force in prisons we believe has reached crisis proportions in New York state," says U.S. Attorney Preet Bharara. At a press conference, Bharara and FBI officials who conducted part of the investigation said guards at Downstate Correctional Facility beat an African-American inmate named Kevin Moore so savagely that he suffered five broken ribs, skull fractures and a collapsed lung. The FBI's Bill Sweeney said guards tore out hunks of Moore's dreadlocked hair. "One of the officers allegedly boasted of the group's illicit conduct by referring to the dreadlocks ripped from Moore's scalp as 'souvenirs,' " Sweeney said. "An inmate died, and after the inmate died, the official explanation was fabricated. And what we now know is that the inmate was in fact murdered — murdered by employees of the state of New York," O'Donnell said. He's talking about Samuel Harrell, an African-American inmate who died last year after an altercation with officers at Fishkill Correctional Facility. No charges have been filed in that case, but the U.S. attorney's office confirms that it is investigating. Corrections officers and their political allies have pushed back against the way this debate is being framed. "The vast majority of these men and women do their jobs incredibly well under very difficult circumstances," says State Assemblywoman Janet Duprey, a Republican whose district includes a half-dozen state prisons, including Clinton in Dannemora. "And I hope that as we go forward we don't ever lose sight of that." Mike Powers, who heads the powerful corrections officer union in New York, says the real issue that lawmakers should focus on is an increasingly violent inmate population. He says too many prisons are understaffed and overcrowded. "Your life's on the line and you're doing everything you can to defend yourself. Before you know it, we're the ones being scrutinized by the advocates for being horrific corrections officers," Power says. But reform advocates and some legal experts say this kind of scrutiny is long overdue and that violence by guards is a problem in prisons across the country, not just in New York. Michael Mushlin, who testified at the Assembly hearing last winter, teaches at Pace Law School and co-chairs a panel of the American Bar Association that pushes for more prison transparency and accountability. "These prisons can be dark places. When you have a lack of oversight, as we do basically throughout this country, inevitably horrible things are going to happen," he said. In the face of these latest accusations and federal indictments, New York already has strengthened the internal affairs unit that investigates state prisons. Critics want the state Legislature to go further, creating an independent oversight agency to review cases where inmates are injured or killed by officers.